Falling demand and prices for coal used in power generation and environmental crackdowns have seen a string of bankruptcies in the sector around the world. The US's Alpha Natural Resources’ chapter 11 in August (the miner is still to emerge from bankruptcy protection) was the biggest mining sector default of last year at $4.5 billion followed by Walter Energy’s $3.7 billion in bonds and loans in July. Indonesian Berau Coal’s $950 million bankruptcy was the biggest public company mining bust in Asia while state-owned and small-scale coal mine closures in the region number in the thousands. The coal slump may be close to claiming its biggest victim. Peabody Energy (NYSE:BTU), the largest non-state owned coal miner in the world, said Wednesday it may have to seek bankruptcy protection after it missed a $70 million interest payment which was due yesterday. In its filing the St Louis-based company which traces its history back to 1883 said a recent audit report raised "substantial doubt about our ability to continue as a going concern" and that it may need to seek protection under Chapter 11 of the code. At the end of last year the company had total outstanding debt of $6.3 billion, but only $261 million in cash on hand. According to S&P Capital IQ data Peabody's bonds due in 2018 were trading at just 2.75 cents on the dollar. After a swift recovery following the global financial crisis Peabody's market value hit a high of $19.5 billion in April 2011. On Wednesday the counter was worth $40.5 million. Peabody owns North America's largest mine, North Antelope Rochelle in Wyoming which in 2015 produced 99.1 million tonnes of steam coal. Around 9% of US electricity in 2014 was produced using Peabody coal. 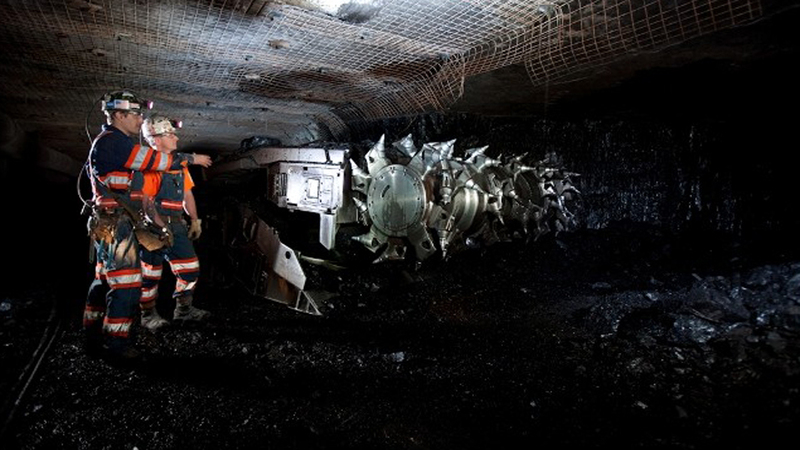 With 29 mines the US and Australia and operations in India, China, Germany and elsewhere the company sold 213 million tonnes of coal last year and has 7.5 billion tonnes of coal reserves. 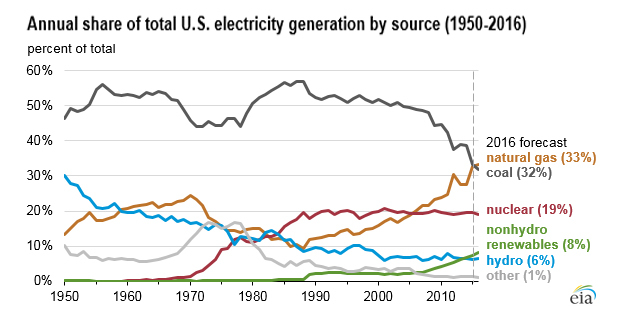 In the US coal miners have been particularly hard hit by power plants substituting with natural gas. According to a report by the US Energy Information Administration 2016 will be the first year that natural gas overtakes coal as the largest energy source in the US.